Peter Robert Jackson is a 5' 6½" New Zealand screenwriter, actor, producer and director. He was born on October 31, 1961 in Wellington, New Zealand and was raised in a nearby coastal town of Pukerua Bay. 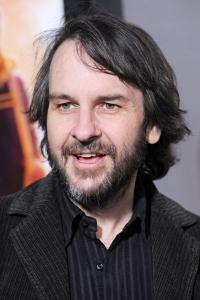 Peter Jackson's mother Joan was a housewife and factory worker. His father William was a wage clerk and a veteran of the Siege of Malta in World War II. His mother and father were immigrants from England. Jackson's nicknames are PJ and Pete. He is famous for being a director and producer of The Lord of the Rings trilogy (2001–2003) and its prequel The Hobbit trilogy (2012–2014). The Lord of the Rings trilogy and The Hobbit trilogy is adapted from the novels of the same name by J. R. R. Tolkien. Lord of the Rings trilogy made more than $2.9 billion in worldwide box office revenue which makes it the highest grossing film in history. Peter Jackson was interested in film at a very young age watching Ray Harryhausen movies and TV series Thunderbirds and Monty Python's Flying Circus. He was not interested in sports in school so he learned about special effects, editing and makeup by experimenting by himself. He stopped going to school at the age of 16 to work for a local newspaper company as a full-time photo-engraver. He lived with his parents for the seven years he worked for a newspaper so that he could save up for his own film equipment. He bought a 16mm camera after two years of working and made a film that was later called Bad Taste. Jackson's favorite movie is King Kong and he tried to remake it at the age of twelve by using stop motion models and his Super 8 cine-camera at the age of nine. He made a World War Two film - The Dwarf Patrol, which is added to the Bad Taste bonus disc. It features Peter’s first special effect of him poking pinholes in the film for gunshots. It also has a James Bond piece called Coldfinger, and a 20-minute short film called The Valley. The shots he used in The Valley won him a special prize. He made the latex models in his parents kitchen oven for Bad Taste, which often made them have sausage for dinner because the oven was occupied by him. His favorite band is The Beatles, and he paid tribute to them in 1987 Bad Taste. He married Fran Walsh in 1987, and they have two children together and two houses in Wellington, New Zealand. His son Billy Jackson was born in 1995 and his daughter Katie Jackson was born in 1996. Peter is the owner of WingNut Films, Weta Limited and Three Foot Six - production companies. Peter was appointed Companion of the New Zealand Order of Merit in the New Year Honours 2002. His new name title is Mr. Peter Robert Jackson CNZM. He was knighted as a Knight Companion of The New Zealand Order of Merit by Governor-General of New Zealand, Anand Satyanand in the New Year Honours 2010. His new title is Sir Peter Robert Jackson KNZM. He was appointed to the Order of New Zealand Ii The Queen's Birthday and Diamond Jubilee Honours 2012. This is the highest honour and is now called Sir Peter Jackson ONZ KNZM. - shared a nomination for Academy Award for Best Original Screenplay with Fran Walsh for the movie Heavenly Creatures. - Awarded three Academy awards, including an award in 2003 for Best Director. - He has been nominated for nine Academy Awards so far. - Received a Golden Globe. - Receive four Saturn Awards. - Received three BAFTAs (award for best direction) award. - Jackson has donated NZ$500,000 to stem cell research. - He saved a church from demolition in Wellington suburb of Seatoun by buying it for $10 million. - Most of his movie setting is in Wellington, New Zealand. - He love to wear shorts and sometimes in the freezing cold weather as well. - He would sometimes spend days shooting one scene because he is a perfectionist and keen on details. - He collects models of airplanes from World War One. - He said that he cried when King Kong fell of the Empire State building in 1933 King Kong. - Received the honorary graduation in November 2001 from Massey University. - Ranked #41 in 2002 Premiere's 2003 annual Power 100 List. - Ranked #20 in Premiere's 2003 annual Power 100 List. - His parents died during production of The Lord of the Rings.